with aims to revitalize the western coastal area of bagnoli in italy, GFC architecture has designed the new science centre in naples. 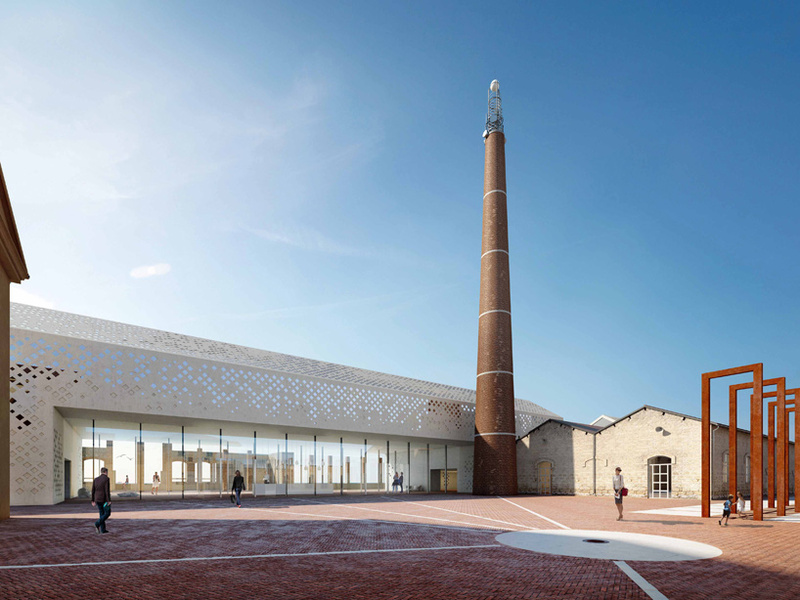 the project draws from the relationship between the surrounding and the historical preservation of the factory site which was destroyed back in 2013.
the site is defined by its scattered fabric made up of its previous structure of pillars, arches and old façade. 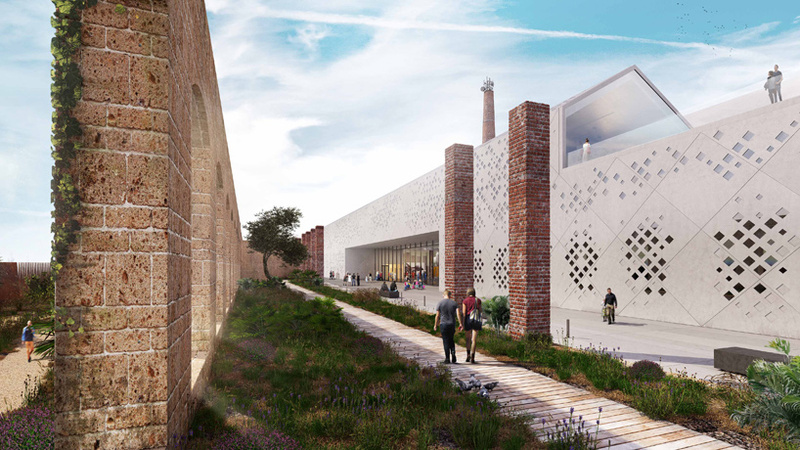 GFC architecture’s proposal addresses the character and identity of the area, maximizes the existing value of the industrial heritage and creates a new active public space. focus was placed on clearly defining a volume and highlighting the historical features of the industrial architecture. the program is organized around 3 levels, creating sequences of spaces with different height, width and light conditions. the large rooms draw influence from public spaces of the past, such as the roman basilicas and markets. 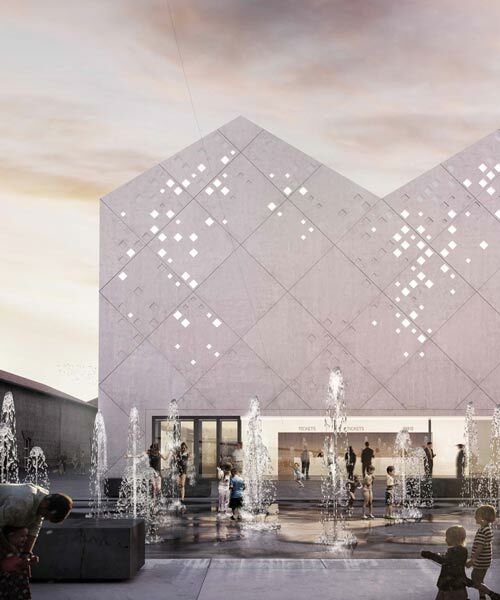 meanwhile, the concrete façade is uses ‘opus reticulatum’ – a form of brickwork used in ancient roman architecture. using controlled light input from the openings in the facade, it allows natural light to filter into enclosed spaces during the day and the building is characterized by the interplay of reliefs and glass reflections. at night, the light reveals a pattern, recalling the tragic event of the fire, and transforms the new cultural hub into a memorial lantern, establishing a more vibrant and lively area. in this regard, it is intended that both indoor as well as outdoor areas are activated. 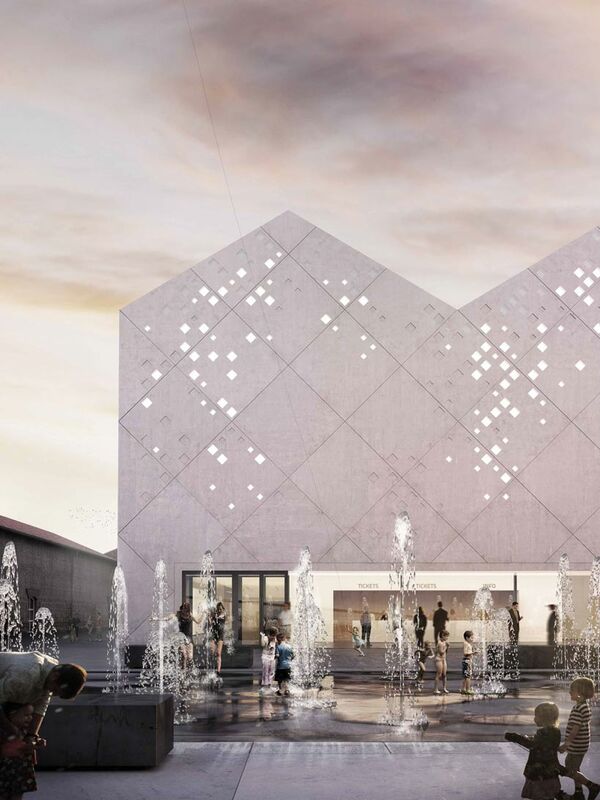 ‘we focus on creating an open urban center, while developing all the functional requirements of a future museum complex.’ comments the architects. the plan of the building is organized around a central void, which accommodates the main entrance and creates a new dialogue between the existing plaza and the waterfront. 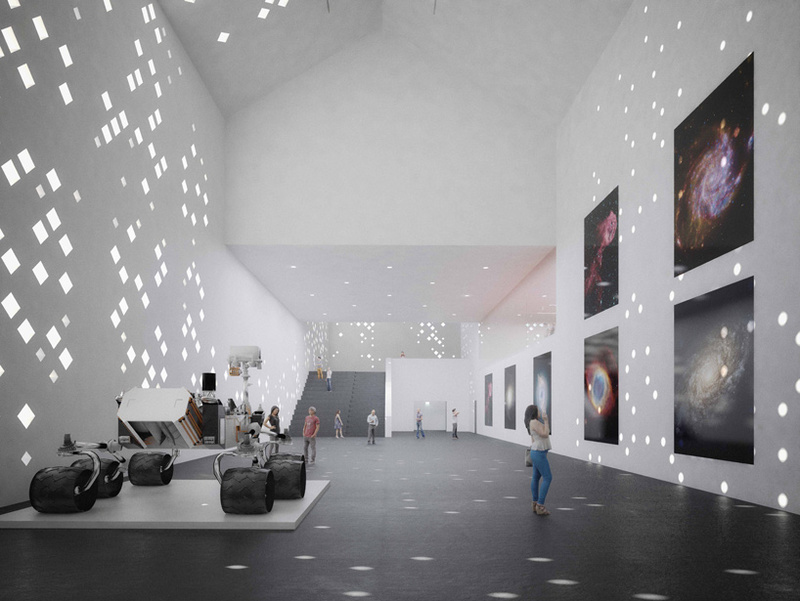 human experience of space and the generous volumes act as key components of the interior, thus expanding the idea of museum to a congenial place for continued public engagement.